KMS offers many services from basic Website Design to complete e-commerce solutions. We have the creative talent to appeal to your sense of style plus the experience and knowledge of web standards and practices to turn your vision into a reality while staying within your budget. Our clients range from individuals to large corporations and everything between. With our combined experience in graphic design, website development, and e-commerce, whatever your project demands we have solutions. 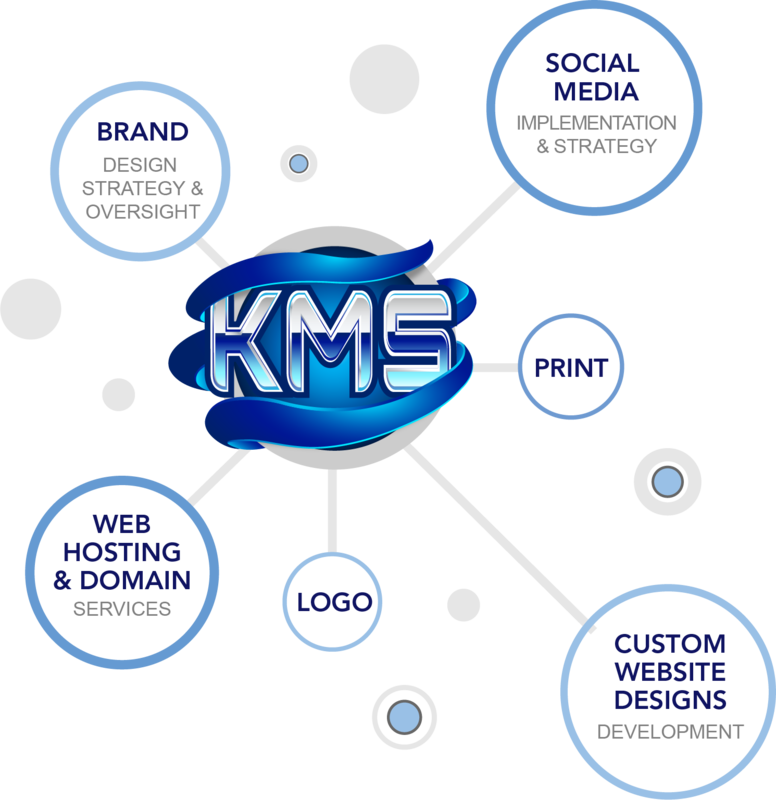 KMS is a full-service web hosting and design company. From a simple blog to a full-blown E-commerce, we can provide a solution to fit your needs. You wouldn’t be reading this on our website if we couldn’t. It does everyone involved a disservice to pursue new business if we can’t deliver. However, we have not forgotten that we are a service-oriented business. We will grow with you as your company and agency grow together to building a comfortable relationship. Because in an ideal world, we function as an extension of your marketing department not your vendor. Branding stewardship is at the heart of everything we do. A brand can take a company’s greatest strengths and project them in a unified, emotional manner. Creative branding can reflect that a company is united in its products, integrated in its design, and able to continually offer customers a positive experience. From a bottom-line perspective, it builds familiarity, familiarity builds relationships, and relationships build revenue. We believe, however, that brands can never be static. Every communication – from national advertising campaigns to the smallest leaflet – either works towards building a brand or weakening it. That is why we take a holistic approach to brands to establish and execute them consistently and with cohesive vision across every marketing discipline.